Drawing on years of innovation, testing, and customer use in the harshest environments, our computers offer features and benefits that are unmatched in the industry. TOUGHSCREEN gasket-less Touchscreen- NEVER actually touch our touchscreens! The harsh environments in which our computers operate can destroy normal touchscreens, but not ours. 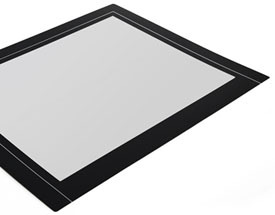 Our touchscreens are covered with a clear Mylar overlay that is sealed without gaskets. This overlay CAN BE REMOVED WITHOUT HAVING TO CHANGE THE TOUCHSCREEN. Altogether, this system offers the perfect operator actuation force pressure, even with gloves on. Another advantage occurs in the unlikely event of a shattered touchscreen. Any glass shards are held in place and prevented from contaminating your product. 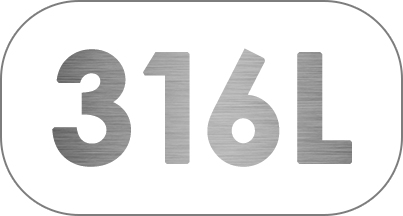 All our computers are made of superior grade 316L stainless steel. Maintenance has never been easier. Typically our computers are securely mounted to tables, stands, or walls. 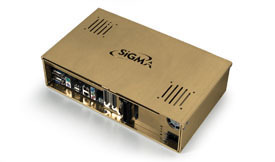 If repair is needed, a technician can easily remove our internal box while the outer enclosure stays mounted in place. No tools needed. Our internal “box-in-box” contains all computer components, and all connectors are easily removed. Service is both easy and low cost. 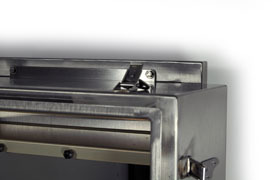 All of our enclosures utilize a “rain channel” seal to block and channel water away from the inside of the enclosure. This works perfectly during harsh washdowns and ensures long life in the worst conditions. SIGMA EXCLUSIVE WASHDOWN KEYPAD CHOICES. We are the only manufacturer that offers 3 different gasketless keypad choices. They are all sealed for washdown with long-life key actuations. All models also have larger 0-9 keypads that can be used with gloves. In addition, our keypads are on a DIFFERENT circuit from our touchscreens, so if one goes out the other will still keep functioning to ensure no downtime. You can still use an external keyboard of any kind along with our washdown keypads. All of our enclosures are completely sealed 316L surgical grade stainless steel. 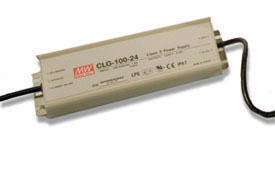 If your application calls for a higher ambient heat condition because the computer is near an oven, fryer, or outside elements, we offer an external IP67 rated power supply. Moving the power supply outside the box allows our computers to function in ambient temperature ranges of 105-115° F. Impressive for a completely sealed stainless enclosure. CUSTOM MADE LASER CUT CONNECTOR PLATE. The bottom of our 316L enclosures are laser cut for maximum precision and sealing integrity, and are CUSTOM BUILT to your EXACT washdown connector needs. No extra connectors to cap, unless you want it that way! 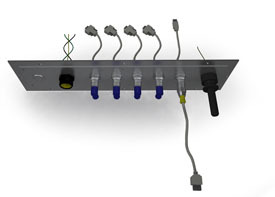 The Standard connectors include sealed On/Off switches, quick-disconnect power, and any brand or style of connector you wish. All fit with laser-cut precision. Our larger customers demand standardization. With this in mind, we offer a 3-year, EXACT SAME parts replacement guarantee for ALL components. But we go further than that: our motherboards have a 7-year life and are not due to be replaced until 2016! Touchscreens will be available for 7-10 years. Even our displays have a 4 year life cycle guarantee. We still stock components for customers who bought our computers in 1999. Buy with confidence.